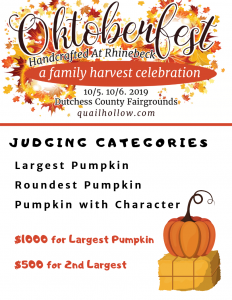 Register for the Oktoberfest Pumpkin Contest Here! There is no fee to enter. Please note that the Largest Pumpkin category demands that the pumpkin's weight be a minimum of 300 lbs.